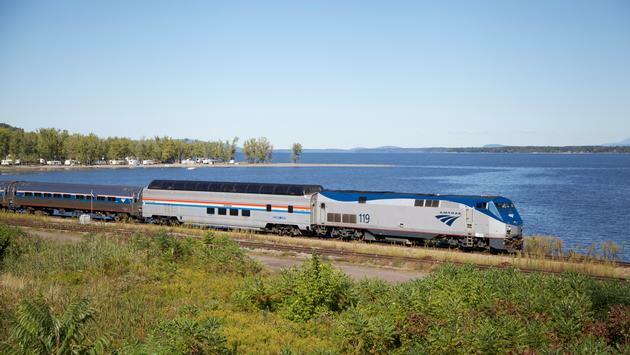 Amtrak Vacations, Amtrak’s national tour operator and the leading supplier of rail vacations in North America, is excited to announce their upcoming Flash Sale, running for 10 days only: Wednesday, April 3 - Friday, April 12, 2019. For a limited time, when couples upgrade to a private Bedroom sleeping accommodation on the train, they will save $300, and when they upgrade to a private Roomette accommodation, they will save $200. The deal applies to overnight train travel to any U.S. destination. This flash sale offer applies to Amtrak Vacations’ most popular itineraries with overnight rail, including Grand National Parks with Yellowstone, Yosemite and Glacier National Park; Grand Rail Experience; Glacier National Park Express; and Rails to the Grand Canyon. Travelers can also customize any Amtrak Vacations itinerary to start and end from any of the 500+ Amtrak stations across the U.S., or add additional nights in a particular destination, and qualify for the sale. For more information on the Amtrak Vacations 10-Day Flash Sale please visit amtrakvacations.com/flash-sale. SOURCE: Amtrak Vacations press release.